It is a natural tendency for dogs to lick their wounds after an injury. However, this can significantly delay the healing process and may cause infections too. 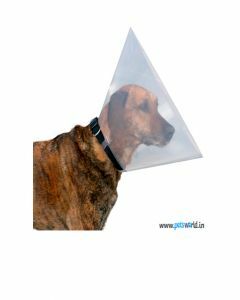 Protective Collar or E-Collar is a shielding ring which can be worn around the pet’s neck to prevent them from licking cuts and wounds. 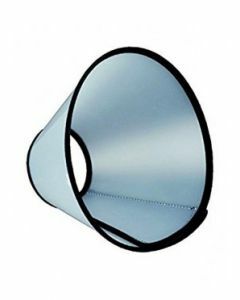 Protective Collars help a great deal when you are taking your pet to the Veterinarian. He might get several medications there and it is absolutely necessary that your pet stays away from licking the injury. The licking can even loosen the stitches done after the surgery. 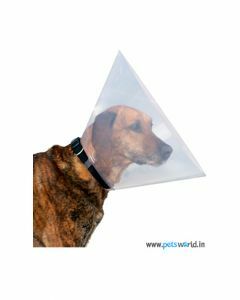 We at PetsWorld provide you with the best of the protective collars in various sizes for suiting all dog breeds, be it small, medium, large or giant. At PetsWorld, we have protective collars from reputed brands like Trixie and Pet brands. PetBrands gives you collar having Velcro as the main material for the ease of attachment and removal. All the Protective Collars we offer are smooth and comfortable around the neck, ensuring faster adaptability in dogs.